This sectional sofa set is great for any patio or backyard. Complete with a 7 seater, 11 piece sectional sofa this set does it all. 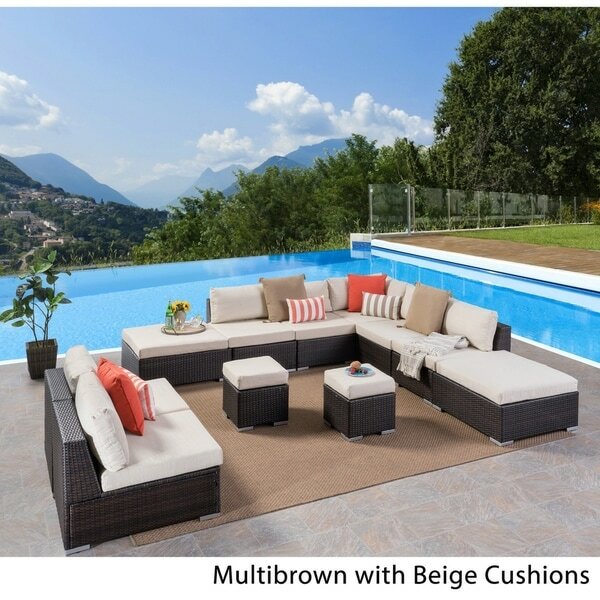 Perfect for all of your outdoor hosting needs, this set features top quality wicker and an aluminum frame with water resistant cushions for a clean look. Enjoy hosting again this summer with this perfect sectional sofa set. "Can you buy replacement cushions?"